Where do you turn for engagement ring inspiration? There are endless places you could get ideas from: You might look to your BFFs, consult your favorite Instagram influencers, flip through wedding magazines, or—humblebrag—read Who What Wear’s suggestions. But if you’re like thousands of other women, you also love Pinterest—and for good reason! The platform is a treasure trove of beautiful images and chock-full of dreamy engagement rings. So naturally, our ears perked up when we heard that one ring in particular is blowing up on Pinterest: As InStyle pointed out, Raymond Lee Jewelers’ Verragio Venetian Diamond Engagement Ring ($4300) is a favorite on the social platform. In fact, it has over 63,000 pins and counting! We’re dying to know: Will you be pinning this ring too? 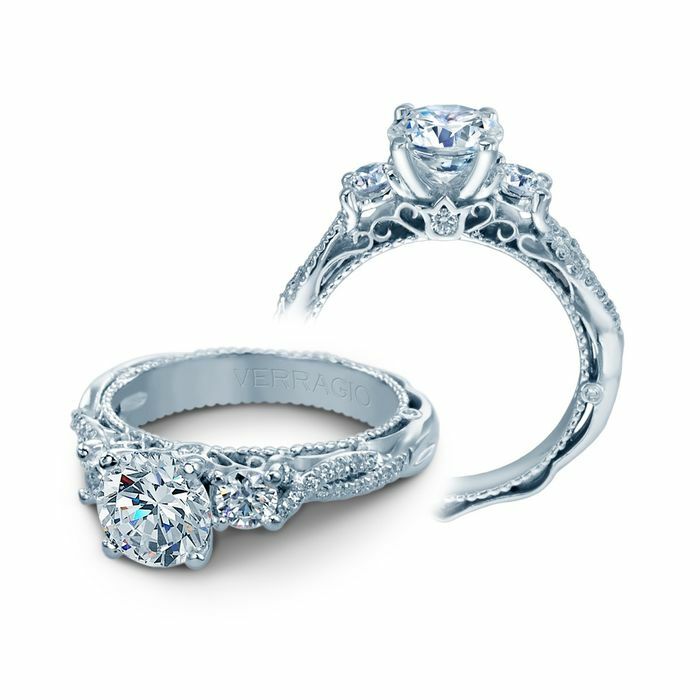 Scroll down to see the engagement ring that has over 63,000 pins on Pinterest! Would you pin this ring on your own board? Tell us in the comments below, and then shop more engagement rings from one of our favorite brands, Catbird! Opening Image: Getty Images. Outfit Credit: Kate Upton’s ring.